Brands play an important role in modern society – a role which cannot be denied in scope and scale. Think of past incidents around the world’s largest carmaker, Toyota, and its handling of the recall of 8 million Prius hybrid cars. A situation American rival, General Motors, has now experienced during the beginning of 2014. It is a perfect case in crisis management of brands and a compelling one of how not to handle it. Toyota had become a global case study in perfect management. The Toyota Way involved lean manufacturing, continuous improvement, innovation and quality beyond imagination. Many global corporations have aspired to learn from the Japanese company and mirror their best practices in management and manufacturing. At one time, anything to do with Japanese management and manufacturing was in great demand. So what really went wrong with Toyota and what could GM learn from their experience? Innovation is a fundamental building block of iconic brands. Toyota is a great example of how an Asian company rose quickly since the end of World War II and taught the rest of the world about best practices in management and manufacturing. Leading brands create their corporate strategies with an inherent strategic element encompassing innovation. Such innovation is not limited to bringing new products to markets, but is expanded to innovation in communication with customers and other stakeholders. The only two functions of any organization are innovation and marketing as famously quoted by the management thinker Peter Drucker. Irrespective how innovative a company is, how committed the employees are, and competent the top management is, success will be elusive unless the company connects with the customer. Top management should constantly evaluate their strategic decision in the context of customer feedback and how the customers can help the company in co-creating value. Many brands before Toyota have been through similar crisis cases. The mineral water brand Perrier had to recall 160 million bottles in 1990 after traces of benzene. Firestone tires had to recall 6.5 million defective tires in 2000. Johnson & Johnson recalled 30 million packages of painkiller brand Tylenol after traces of cyanide. BP continues to be plagued by the deep water Horizon spill many years later. Cruise operator Carnival has reeled from the Costa Concordia disaster in 2013. Subway has pledged to remove a chemical from its breads which has been linked to respiratory issues and banned in the UK, Europe and Australia. Stay cool and focused: When crisis hit, it is important to stay cool and focused. It is too tempting to become emotional, but in a time of crisis, all stakeholders will be looking at the brand, its leadership and the crisis is handled. Staying cool, focused and determined to take leadership of the situation – whatever bad it may be – will earn the brand respect, and help get the situation under control, and to control the situation as it evolves towards a solution. Face the stakeholders: Modern global brands and companies do not operate in isolation. Stakeholders are deeply involved with brands and have a bond with them during good times and bad times. Management must step up and reach out immediately and take leadership. At this early stage, few people in the company would have the big-picture overview and may lack insights, but communicating early, openly and with a determined path, builds trust and open lines of dialogue which may be very useful later. Act fast: The sooner the management can establish a dialogue with stakeholders, the better the outcome. The company has to showcase that it moves fast, is agile and is on top of the subject matter – even though insights, adequate information and other important aspects, may not yet be fully available as the situation is evolving. It will prove that the brand is still in control and has not lost confidence in itself. This early move will also allow the brand to better control the messages and help galvanizing the company support networks. Strategic roadmap: The best global brands have ready-to-go strategic, crisis roadmaps which outlines exactly what to do and who should do it in case of crisis incidents. A strategic, crisis roadmap outlines how management and the company seek to repair the damage, re-establish operations and lead the brand’s way back to normal. As management gets more details about the incident, the brand roadmap will be adjusted. Brands must have plans which deal with the worst case scenarios, train management and the organization in how to utilize them, and use role plays to simulate various situations. That can help to respond more effectively as mind-sets are more prepared when the crisis situations emerge. Nurture the organizational culture: During times of crisis, many corporations tend to forget their most important and trusted stakeholder: the employees. The talent pool is the back-bone of operations and their loyalty are often overlooked during crisis situations. They do not easily give up on things they trust, respect and identify strongly with. Management can benefit tremendously by involving the organization early and empower them to help solve the crisis. Most management teams forget about this important resource, and can benefit immensely from involving the human capital of the company. Raise the bar for the brand: The business landscape is changing almost every day in every industry. Hence the corporation needs to evaluate and possibly adjust the branding strategy on a regular basis. Obviously, a brand should stay relevant, differentiated and consistent throughout time, so it is a crucial balance. 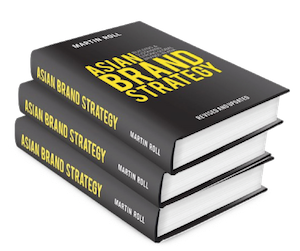 The basic components of branding strategy such as vision, identity, personality and values are not to be changed often as they are the basic components. The changes are rather small and involve the thousands of daily actions and interpersonal behaviors, which the corporations employ as part of the brand marketing efforts. Complacency must not take root in the organization and affects goal setting. Strong brands are ones which are driven forward by owners who never get tired of raising their own bars. They become their own change agents – and brand champions for great brands. Many business leaders are yet to realize that building and sustaining iconic brands is a boardroom discipline. It involves skills and experiences in public communication and stakeholder crisis management – it must engage with the public and take center-stage at any time. This was a critical point for Toyota CEO, Akio Toyoda, and for newly appointed CEO Mary Barra of General Motors during the beginning of 2014 when she faced a crisis in GM. Companies must ensure that everyone in the company is properly aligned with the brand values with the right mindset and belief. The entire company and its multiple and cross-functional actions and activities should be channeled towards this goal. Internally, this comprehensive task of aligning and managing customer touch points cannot be left to or even controlled successfully by marketing departments alone. The boardroom should take a more active role in the cross-functional orientation of marketing in the organization. It requires a shift in focus and priority for every functional aspect of the organization aligned around multiple customer touch points. Toyota was so strongly linked to Japan Inc. that much was at stake for Japan and its reputation moving forward out of their crisis. For GM, although their crisis was mostly contained in their home market, there are three dominant home competitors ready to take pounce on a greater share of the market. The Toyota brand needed to step up actively on the global scene, and take control of the crisis. It is easier said than done successfully, but this is now the road that General Motors must take in their difficulties ahead.